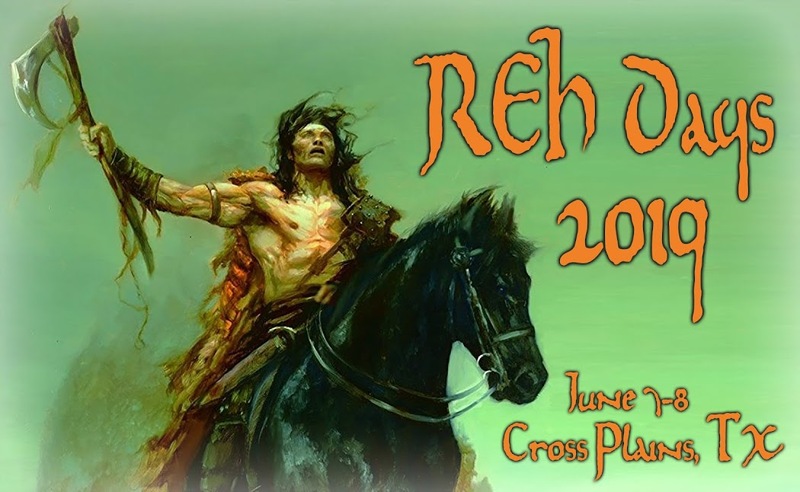 Robert E. Howard Days: Calling All REH Fans! Less than a month to go and Robert E. Howard Days in Cross Plains will be upon us! One of the highlights of the entire affair is the REH Silent Auction at the Celebration Banquet on Friday Night. Project Pride of Cross Plains, Texas the main sponsor of Howard Days is a total volunteer organization and they are dependent upon donations from all over the world to ensure the preservation not only of the REH Museum but of Ol' Two-Gun Bob Howard's Legacy. 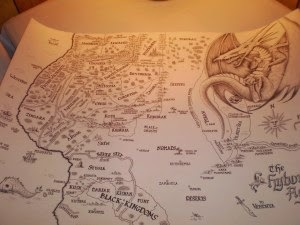 There might even be a nice hand-drawn map like the one pictured above, a rare book or fanzine, books, magazines, posters, artwork - all kinds of cool stuff. This year, Featured Attendee Tom Gianni is donating at least one original sketch to the Auction. Hope you can make it to Howard Days, but if you can't, you can have the satisfaction of knowing you helped out the Robert E. Howard Museum by donating to the Silent Auction. Much appreciated!